Newport Beach hopes long-range strategy will encourage clean boating practices. NEWPORT BEACH ― Improving local water quality has been a work-in-progress for many harbors and cities up and down the Southern California coast. Newport Beach hopes to achieve improved water quality in its own harbor as the city refines and advances its Sustainability Plan. One of the major goals of the plan, in regards to Newport Beach’s harbor and beaches, is high water quality. City officials hope to achieve a healthy ocean, bay and harbor by implementing a variety of measures over time. Boaters were a key group of stakeholders identified in the plan. City officials encourage boaters to engage in clean boating practices. Some have argued hull cleaning and older engines are a source of pollution in Newport Harbor. The Sustainability Plan could ultimately suggest best management practices in addressing common boating issues. Newport Beach’s City Council expressed its support of the Sustainability Plan in June. The plan has been formulating through meetings with various groups as well as from public outreach in support of conservation efforts. It continues to be reviewed by city commissions and committees. Former City Council member Nancy Gardner, who has taken the lead on bringing the Sustainability Plan to life, said the Harbor Commission and Tidelands/Coastal Water Quality Committee, among others, have already provided input. The Sustainability Plan, according to Gardner, establishes a path for Newport Beach to take towards long-term protection of environmental resources. Gardner said the local boating community would be tasked with limiting the effects of hull cleaning on water quality. Many harbor commissioners expressed support of the Sustainability Plan. Brad Avery, the one-time Harbor Commission chair elected to Newport Beach’s City Council last month, realizes the Sustainability Plan’s environmental goals requires collaboration of boaters, residents, visitors and local businesses. 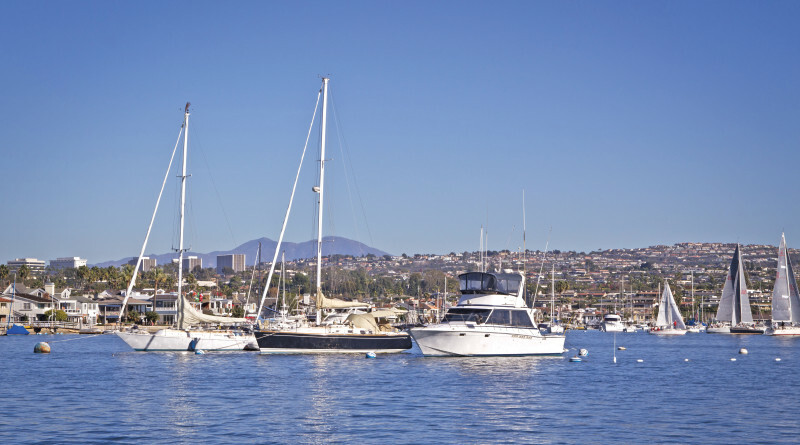 Current Harbor Commission Chair Paul Blank said Newport Beach needs a Sustainability Plan to ensure boaters, residents and visitors continue to enjoy the harbor and local beaches for generations. “When I am asked about why the city needs a Sustainability Plan, I typically respond with something like, ‘What are the things you like about living/working/recreating in Newport Beach?’ The Sustainability Plan addresses how we ensure those things are still here for people to enjoy 100 years from now – and hopefully beyond,” stated Blank. “If asked specifically about why the Harbor needs a Sustainability Plan, I give the somewhat more specific response of, ‘What are the activities you enjoy in or around Newport Harbor?’ The Sustainability Plan guides us in ensuring people can still enjoy those activities 100 years from now,” he continued. His colleague, commissioner Joe Stapleton, has similar sentiments. Stapleton deems the Sustainability Plan necessary to help protect the precious resources of the harbor and waterfront region for many years. What boaters can do to help improve water quality is just one element of the Sustainability Plan. Another major concern is poor water quality caused by rain and runoff. The proposed plan aspires to have all beaches receive no lower than a B grade from Heal the Bay. Heal the Bay’s recent analysis, for example, found the beaches in Newport have all achieved an A+ grade during dry weather. Many of the beach areas in the Newport Bay, however, have received an F grade in wet weather. Part of the plan’s strategy to improve water quality is to reduce polluted water coming from streets and storm drains to runoff into the bay and ocean. “The beaches get contaminated by runoff in wet weather. All the road dirt and urban waste that winds up in a gutter washes down to the bay/ocean/beaches during a rain. The Newport Bay Watershed drains approximately 150 square miles of land and all the trash/waste on it when it rains,” Blank said. Ray Hiemstra, associate director of Orange County Coastkeeper, considers the Sustainability Plan in regards to water quality as mostly beneficial. “[The plan] addresses the major issues of environmental sustainability and provides specific guidance on how to make improvements. In the water quality section we specifically support the sections regarding reducing runoff and trash and having the Harbor Commission take a leading role in promoting clean boating practices.” Hiemstra said. “One point we do not support is the idea of a natural source exclusion for bacteria in Newport Bay,” Hiemstra also stated. He questioned a water runoff study sited within the Sustainability Plan. Harbor commissioners already voted in favor of the Sustainability Plan. A City Council vote could soon follow. “The Harbor Commission unanimously supported the Sustainability Plan that was proposed last month because we understand the legacy that we must continue to push forward making sure that our harbor continues to be the crown jewel of Newport Beach,” proclaimed Stapleton. If ultimately approved the plan would operate as a set of guidelines instead of an official regulatory document. The plan’s review process will continue into 2017, when the Finance Committee is expected to weigh in with suggestions and recommendations. City Council review and direction could follow shortly thereafter, according to Brandt. The Newport Beach Sustainability Plan ultimately aims to preserve and protect the city’s natural resources. Other beach cities in Southern California that have a sustainability plan include San Diego, Santa Barbara and Long Beach. Hiemstra stated he is not aware of any other Orange County city having such a plan, but he believes they should.